Having had 5 comfortable nights of sleep in Huaraz we decided to take the economy bus back to Lima, exchanging seats that folded back past 10 degrees for the cheap prices of Z Bus. The company was very no frills, but was recommended by the folks at Caroline’s and our new French travel companion was fluent in Spanish so what did we have to lose. It wasn’t the most comfortable night but we made it safe and sound. 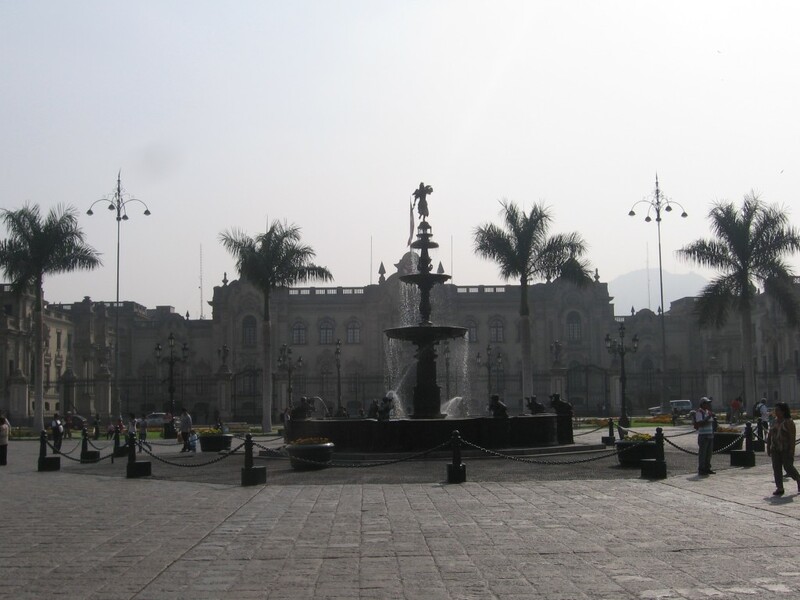 After figuring out our next bus to Arequipa (this time with seats that folded back in to a semi bed position) for the coming evening we were left to explorer a different area of Lima, the central region. Having missed this opportunity our first time in town and having a Spanish speaking guide, I as pretty excited to see Chinatown and the Plaza de Armas. 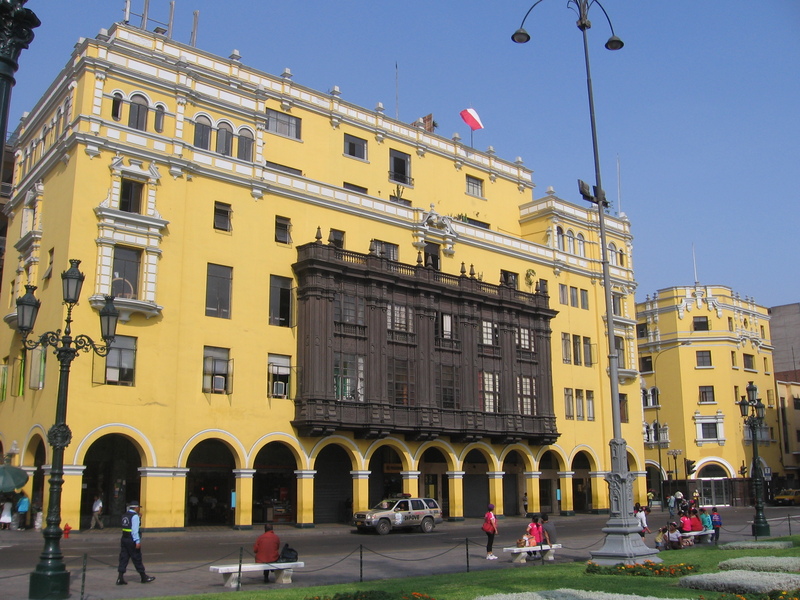 We traveled into Central Lima via a closed bus system; sort of like a subway on wheels, it was pretty crowded but did the trick and didn’t cost the three of us a lot of money. I donñt have a lot to say about the Chinatown, it doesn´t have anything on Vancouver, but the Plaza de Armas area was pretty awesome. 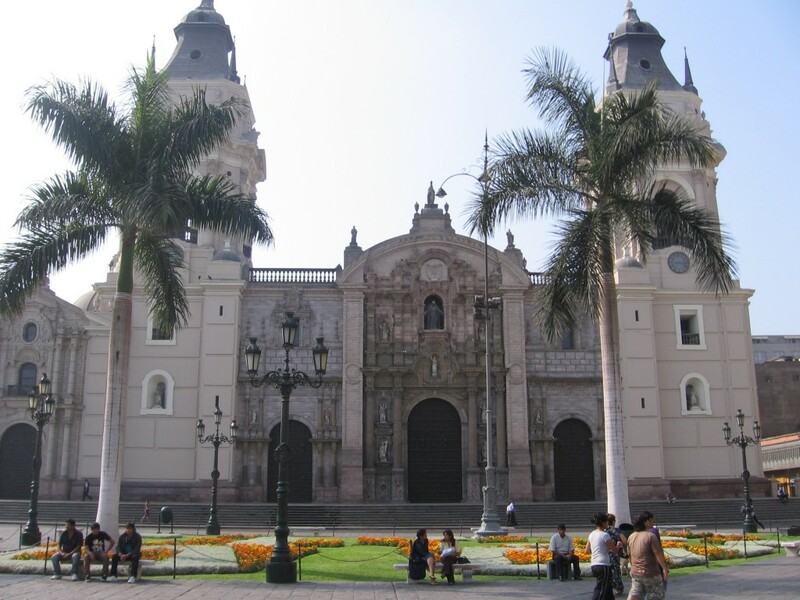 This entry was posted in English, Peru and tagged Arequipa, Chinatown, Lima, Plaza de Armas by Squirrelly. Bookmark the permalink.